Celebrate the autumn season in vibrance! Send the Artisanal Autumn Bouquet to a special someone to share light and joy. 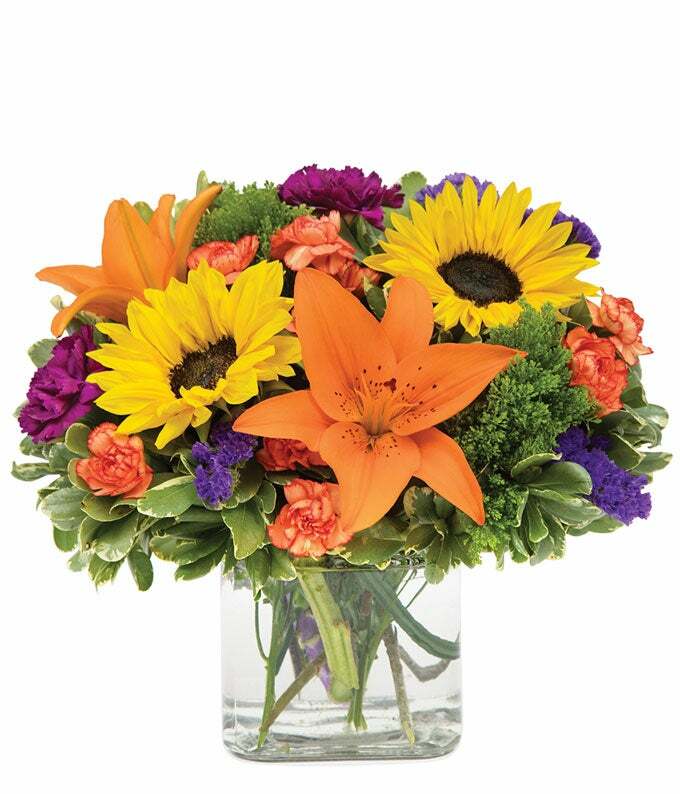 A great conversational piece, this lovely floral arrangement is thoughtfully and generously arranged. Arrangement Height 11", Length 12"